Oxandrolone, also known as Oxandrin, is an oral synthetic anabolic steroid, which is a derivative of Dihydrotestosterone. It was first synthesized by Raphael Pappo while at Searle Laboratories, now Pfizer Inc., under the trademark Anavar, and introduced into the United States in 1964. Its practical use is to promote weight gain after weight loss following extensive surgery, chronic infections, or severe trauma, and in some patients. Oxandrolone is also used to counter the protein catabolism associated with prolonged administration of corticosteroids, and for the relief of the bone pain frequently accompanying osteoporosis. It is also used as part of treatment for HIV/AIDS. 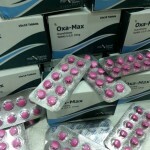 Oxandrolone is widely used by bodybuilders and athletes specialized in weightlifting and powerlifting. This steroid offers important gains in strength without gaining body weight. 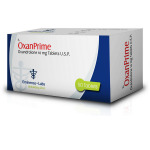 Oxandrolone is also one of the leading steroids in therapeutic steroidal treatment. It treats the fighting muscle wasting diseases or osteoporosis, and other conditions. This steroid is ideal for bulking purposes and it is commonly used during cutting phases of training. Oxandrolone is often used for cutting cycle or pre-contest period. It helps enhancing great effects on both abdominal and visceral fat elimination, which makes it very useful for those who compete in bodybuilding and stay in a weight class. Oxandrolone is very popular and efficient among female athletes. It is a very beneficial steroid for women and it works the same as it works for men. 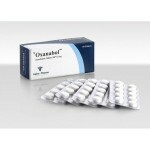 Oxandrolone is widely used due to its exceptionally small level of androgenicity accompanied by moderate anabolic effect. Although oxandrolone is a 17-alpha alkylated steroid, its liver toxicity is very small as well. It can be combined with many steroids, like Nandrolone Decaonate, Methandrostenolone and various Testosterone compounds (Cypionate, Enanthate, Propionate).